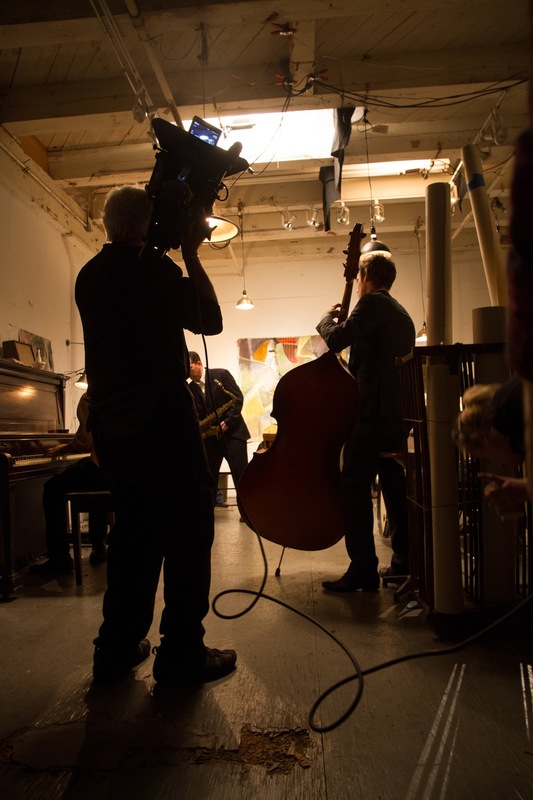 Here are a few production stills from the documentary film based on The Jazz Loft Project (JLP) that is currently in post-production. 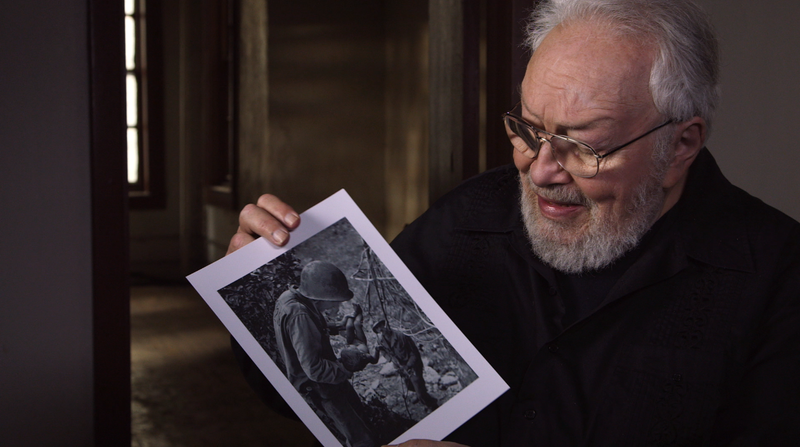 The film is directed by WNYC’s Sara Fishko, who was producer and host of the JLP public radio series for WNYC, and produced by Cal Skaggs and Jonathan Johnson at Lumiere Productions. WNYC’s film project page is HERE. The original JLP website is HERE. The picture of Steve Reich being interviewed by Sara is meaningful for us at Rock Fish Stew. 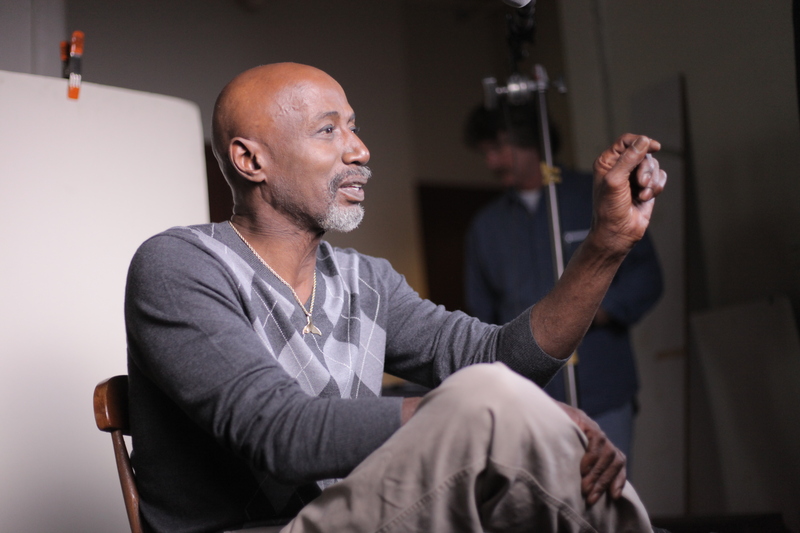 He symbolizes connections from JLP to our new Big Ears documentary work. Plus, he had something to do with the naming of our company. Crew setting up for a shoot. 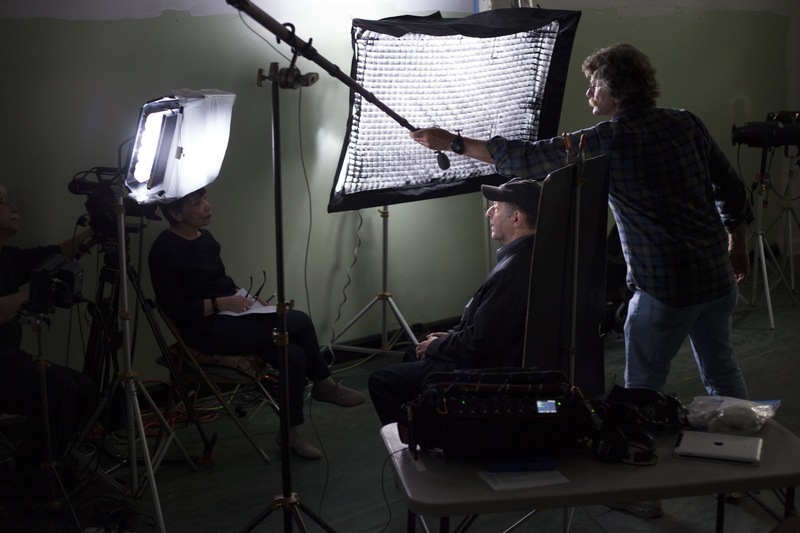 Composer Steve Reich during interview with film director Sara Fishko. 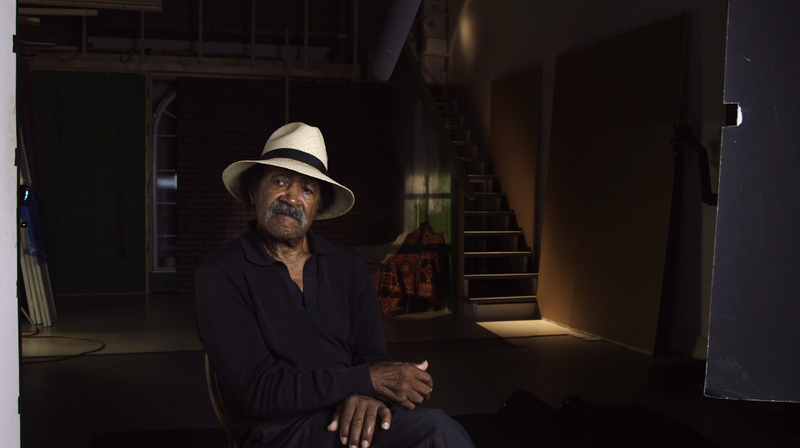 Pianist Freddie Redd before his interview. Photographer Harold Feinstein, a longtime associate of Smith’s and one of the original residents of 821 Sixth Avenue during ‘jazz loft’ era that began in 1954. T.S. Monk, son of Thelonious. 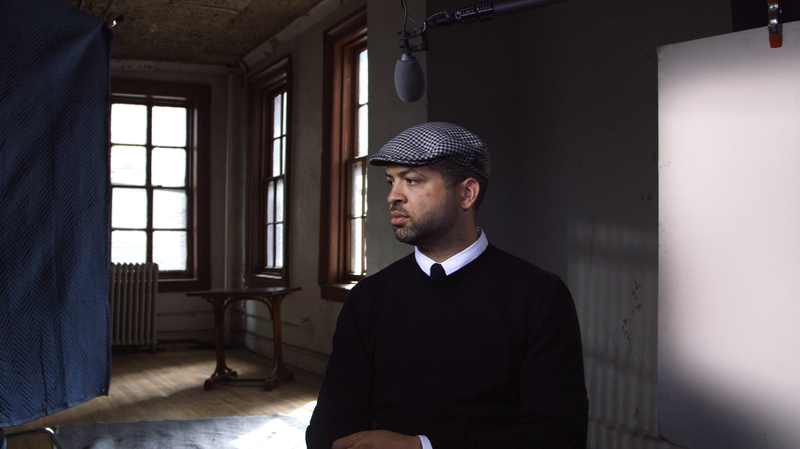 Pianist Jason Moran, explorer of loft recordings of Monk. 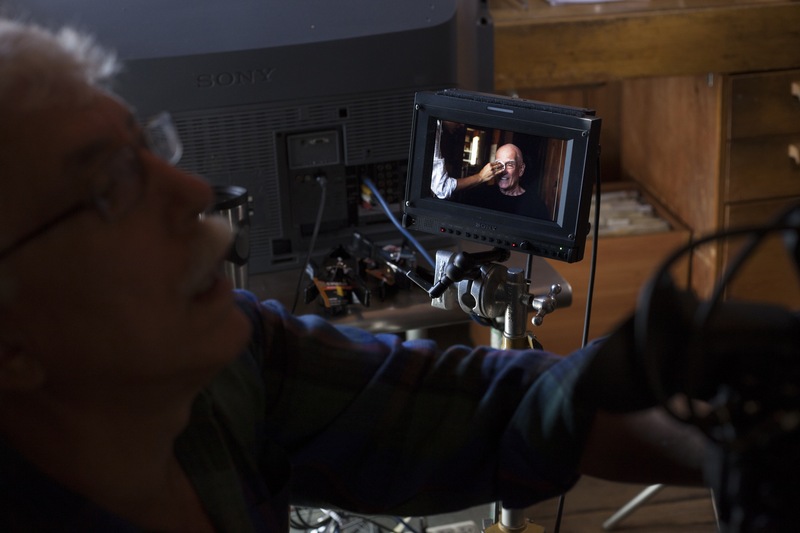 Bassist Steve Swallow preparing for interview, seen in camera; director of photography, Tom Hurwitz, in foreground. 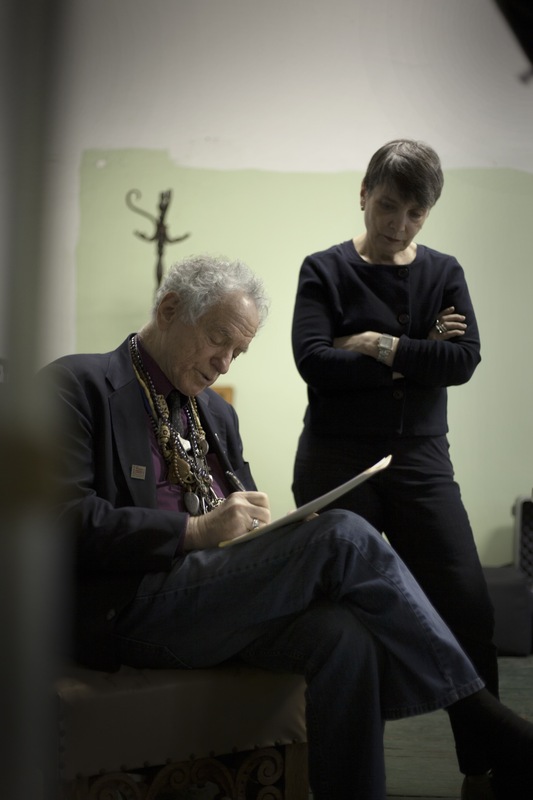 Musician David Amram with Sara Fishko.